Effitrac Trading ERP is a single window, micro-verticalized ERP solution that consolidates purchase, inventory, supplier, and customer processes for streamlined business operations. Why should you switch to Trading ERP? 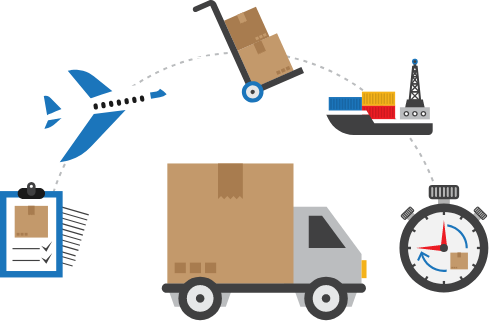 An ERP software can help trading and distribution sector avail lots of benefits. Having a modern, automated ERP system for distribution and inventory management can help increase visibility, improve demand planning, and increase accuracy in reporting. offers incisive business information for better decision-making. Streamline your inventory management, save your time in tracking and managing your data and handle it without any hassles. With our automated ERP software, ERP users can ensure that they have a clear perception of their inventory. Avoid manual errors, keep a check on trading processes and manage tasks for multiple geographies with multilingual and multi currency format. With our incredible business analytic capabilities, you can know the trend and find out the stock needed to run your business without any fuss. Effitrac provides you with accurate reporting facilities, with which you can make the best decisions for your business.